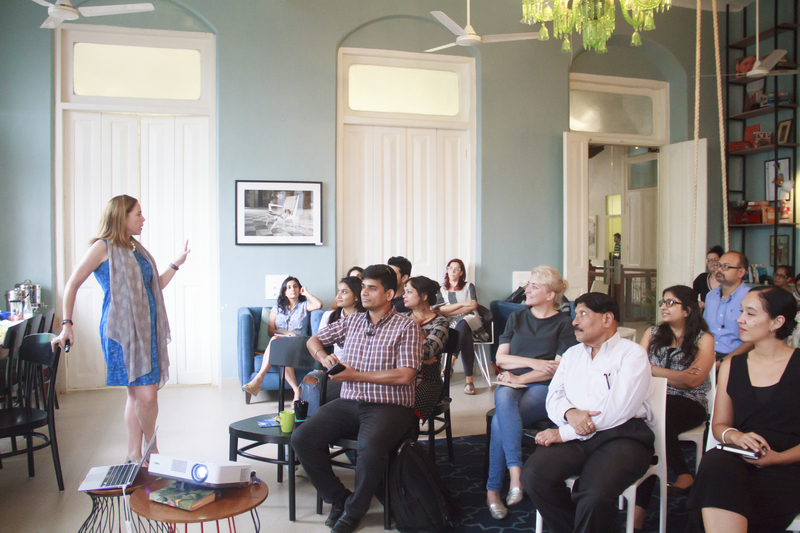 Last week I ran a really fun session at The Ministry of New (voted the 2nd most beautiful co working space in the world, by Forbes magazine) on Time Management. For the benefit of those who weren’t able to attend, but who want to be better at managing their time, here’s a quick recap. People talk a lot about how we can be better time managers. There are tips and apps galore, blogs like this one, books, training sessions and workshops. I personally believe however that there is no “one size fits all” when it comes to managing our time, because we are all different. Understanding ourselves, and what makes us tick, is the first step in building a strategy to help get more out of the 24 hours we have every day. 1. 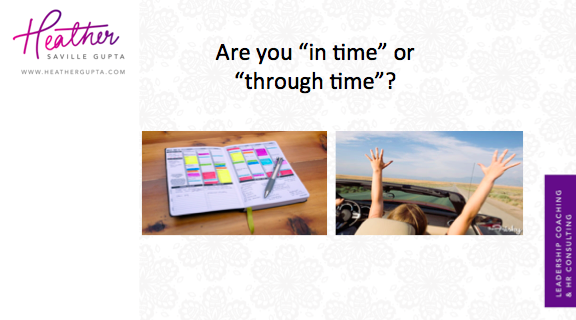 Are you “through time” or “in time”? Anyone who has studied NLP (Neurolinguistic Programming) will be familiar with these terms. People who are “through time” tend to who view time in terms of past, present and future, and are generally good at making plans and sticking to them. People who are “in time” often live in a kind of “eternal now”, very focused on the present (and often lost in it!) and may be less good at making plans. If you have a friend who is perpetually late in meeting you, and arrives with a set of excuses which involve things which has suddenly “cropped up” then your friend is probably an “in time” person. If you think you may be “in time” then the first step to managing your time more effectively is to step back and take a wider perspective – what is happening (and needs to happen) in coming days, weeks and months, and what do you need to do NOW to make those things happen. Also think about setting yourself an alarm to remind yourself when to do important things. 2. 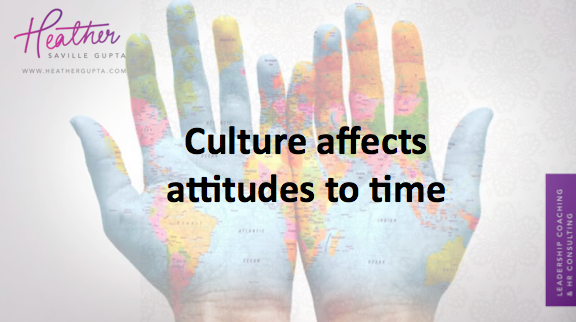 How does your upbringing and your cultural background affect how you manage time? 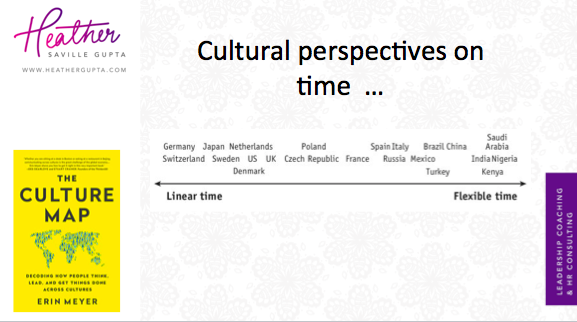 Cultural attitudes to time can be vastly different. I spent the first 30 years of my life in the UK and the next 15 years in India, and that’s caused me some interesting challenges. India generally has a very different attitude to timekeeping than the UK. India is a bit more relaxed when it comes to punctuality, for example. It’s completely acceptable to turn up late for a party, and generally acceptable to arrive 5 or 10 minutes late for a meeting. And usually, traffic is an suitable excuse. In the UK, you need to be on time for any engagement whether social or professional. People don’t like to be kept waiting and they don’t appreciate tardiness. I’ve had to adapt and adjust in my 15 years of living and working in Mumbai. While I still set myself high personal standards for punctuality, I have to be a little forgiving of others, because culturally, expectations vary. If you’re living and working in a country which is different from the one you grew up in, consider whether that affects the way you manage your time. Are you struggling to get your team members and those around you to adapt to your time management style? If so, think how you can best adapt for minimum stress and enhanced productivity. 3. 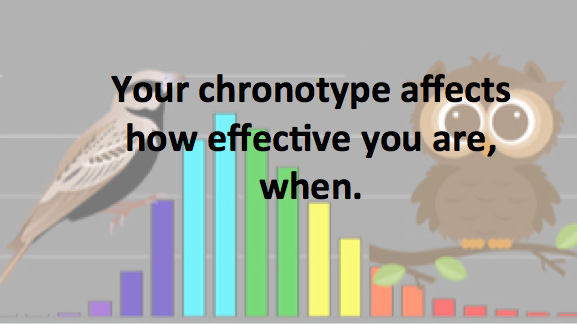 How does your chronotype affect how effective you are, when? Daniel Pink, in his brilliant BOOK “When” talks about the larks, the owls and the “third birds” (who are inbetween). Simply put – are you a morning person, an evening person, or somewhere inbetween? This will have a huge impact on the way you manage your time. 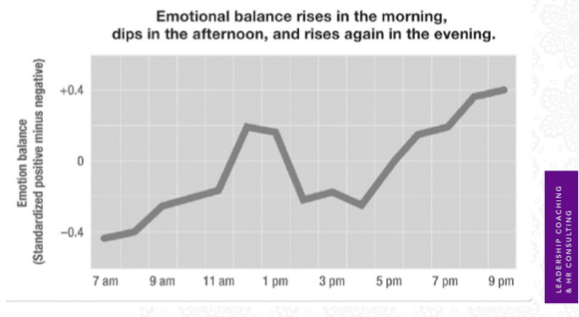 Larks are up bright and early, super focused in the morning, and if you’re that type of person, then it makes sense for you to do your important things then. You’ll typically experience a post lunch slump, recover in the afternoon but become tired by early evening and in no state to concentrate on tricky tasks after 7pm. Owls come to life in the evening and can often work right through their night. Their creative juices really start to flow in the early hours of the morning. If you’re an owl, you’ll probably be struggling with the demands that society places on you to be in the office bright and early. 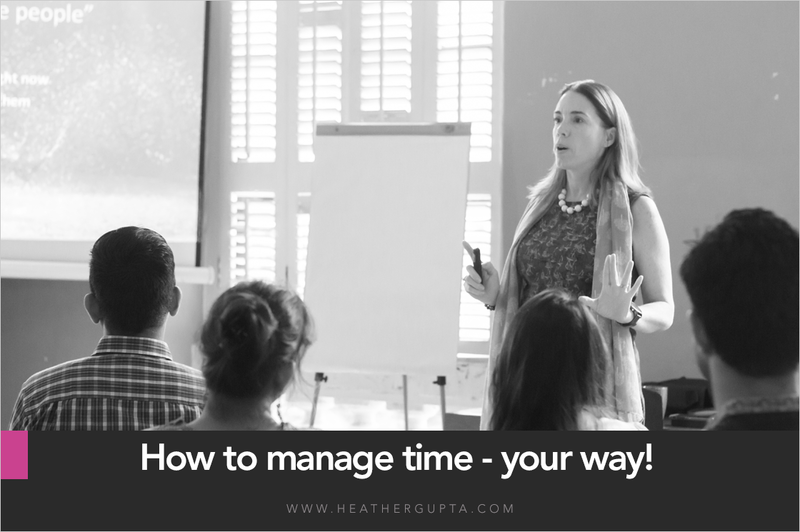 You need to figure out how to manage your time so you’re most effective and how to keep others happy in the process. 4. 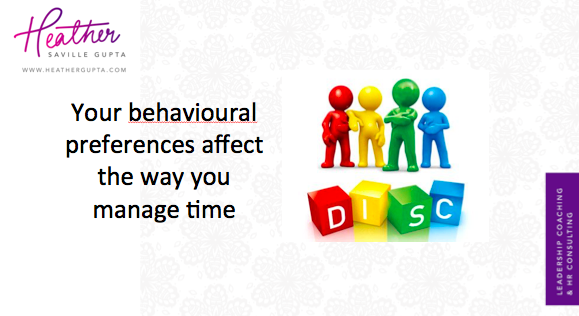 How do your behavioural preferences affect how you manage your time? There are a ton of behavioural assessment tools on the market, which will give you deep insight into how you naturally choose to behave. The tool which is prefer to use, and which I am trained to administer is called DISC. DISC can help us understand more about how we tend to behave – normally, and under pressure, and help us identify strategies to adapt that behaviour for better results. When it comes to managing time, we can understand whether we tend to rush through things, whether we have a bigger picture perspective, or whether we are more detail oriented, and work at a slower pace. This understanding can be invaluable in helping us manage our time more effectively. Now that you have a heightened awareness that everyone is different when it comes to managing time, you can use a simple tool to help structure your day more effectively. 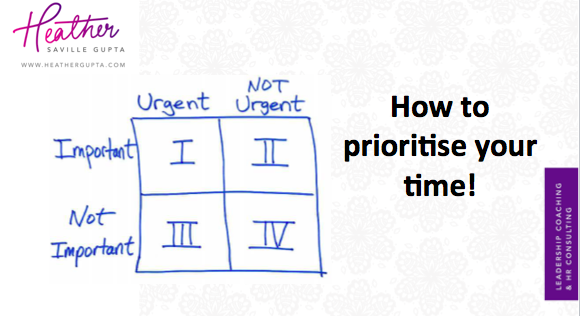 Steven Covey’s time management matrix is invaluable when it comes to really being rigorous about your time, and spotting if there are any opportunities to be more productive. Draw this simple grid for yourself – and go through your entire day, from the moment you open your eyes, to the moment you sleep. What are you doing in those hours? Are you tending to things which are urgent AND important? (the chaos quadrant). Are you constantly disturbed and distracted by “other people’s stuff? (the urgent but not important quadrant). Are you wasting your time on things which are neither urgent nor important Are you spending enough time in the really valuable place of important but NOT urgent? This is where your best work will happen – where you take care of yourself, learn, build relationships, and grow. If we don’t spend enough time on things which are important but not urgent, then we end up with more “urgent and important’ things to deal with. For example, not taking care of our health may result in illness and even a trip to the hospital. Not spending time building relationships at work may limit our ability to be really effective, and may mean that simple problems blow up into bigger issues. Not taking the time to read, learn and build our skillsets may mean that we end up missing that promotion, or even losing our job. Back into chaos. To be better at managing your time, start by realizing it is YOUR time, and the way to manage it will depend on you and your particular style. If you need help, perhaps with a DISC assessment to understand your behavioural preferences more deeply, or even with some one on one coaching, then please be in touch.